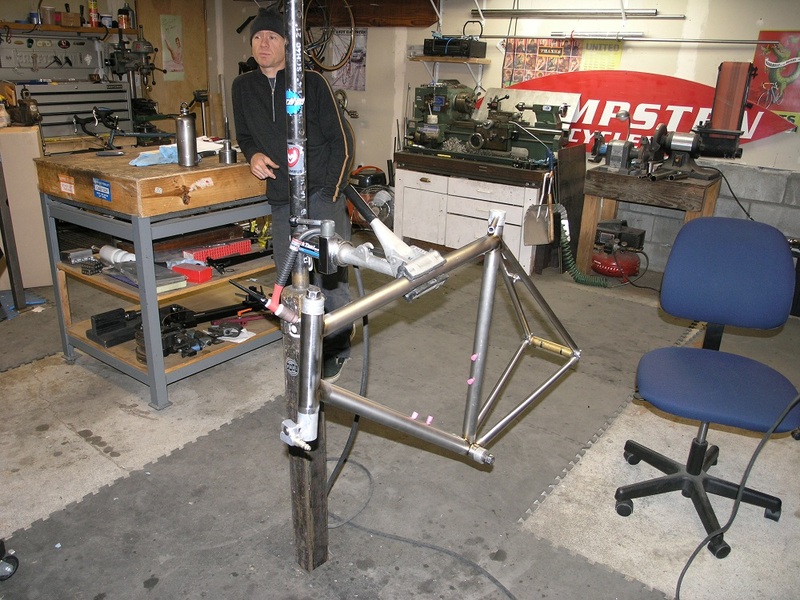 Last week, I rode up to the Hampsten Cycles workshop in north Seattle to interview Max Kullaway, owner of 333Fabrications and one of two Hampsten frame builders. 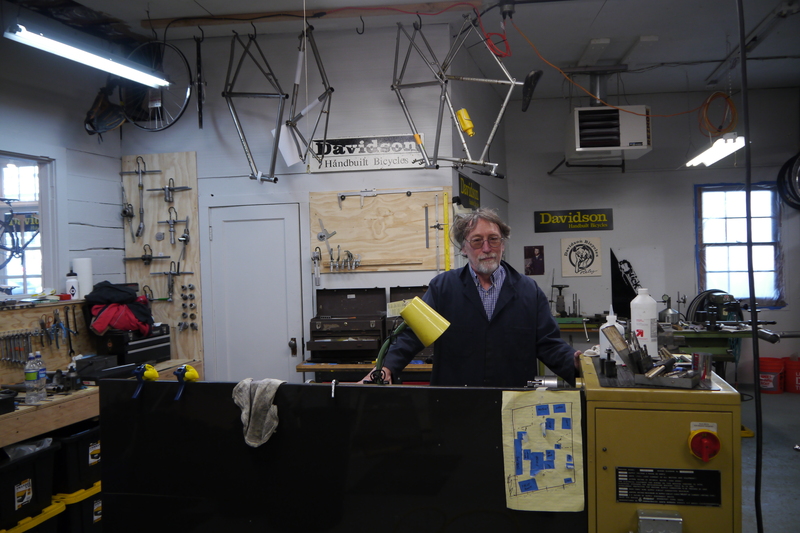 The shop is built in a detached two-car garage at Steve Hampsten’s home. The space is relatively small and packed tight with all the machines, torches, and tools needed to weld and braze, but it’s far from claustrophobic. I wouldn’t call myself a photographer, but I brought a camera with me and took some photos to show the Hampsten work space.